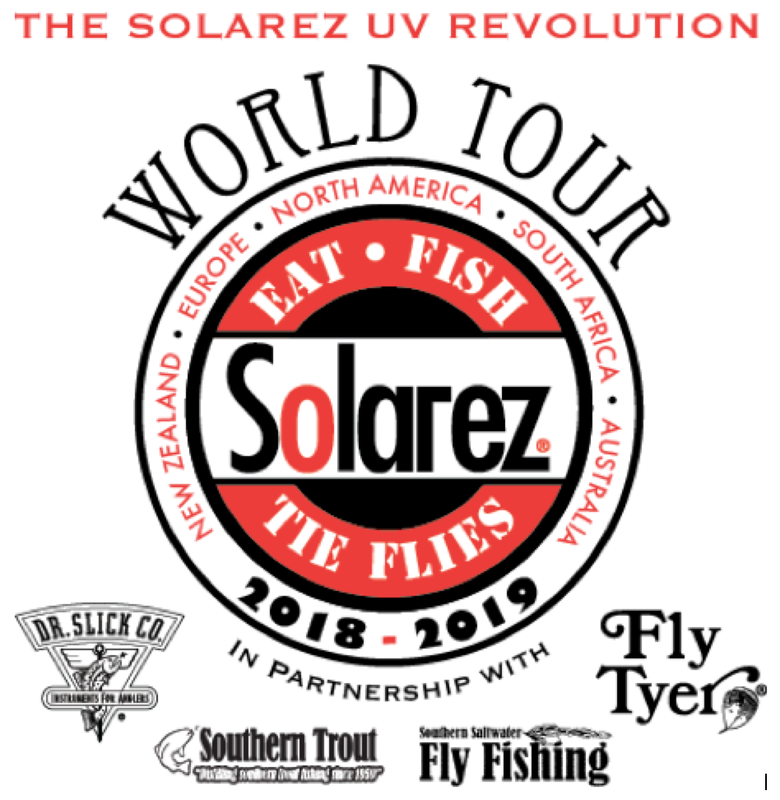 On September 30, 2018 Solarez UV Flytying Resins, in partnership with Southern Trout and Southern Saltwater Magazines, Dr. Slick Fly Tying Tools and FlyTyer Magazine will launch The Solarez UV Revolution World Tour. Rock Concerts? NO. Instead, an awareness program exploring all of the different types of flies that can be tied with Solarez UV Resins. The Solarez UV Revolution World Tour? It is a worlwide contest and social media tour directed at fly tyers via social media to explore the unique uses of Solarez UV Resins to create exciting patterns in fly tying. The Solarez world wide Pro Team will provide examples and improved flies via Facebook Posts to encourage fly tyers to share their creative in reply or unique posts. The program will run from September 30, 2018 through April 1, 2019. Final Drawings: The Final drawing will be held on April 1. TWO (2) GRAND PRIZES, will be randomly drawn from tyers who have submitted flies for the World Tour and all those who have provided likes. Votes will only be collected for flies posted on Solarez FB pages. Contributor flies will be shared with Partner FB pages. Winners will be shared/posted on all Solarez FB pages. Southern Trout and Southern Saltwater magazines will be feature Pro Team and contributor patterns in each issue from October 2018 through April 2019. Flytyer Magazine will be highlighting random patterns throughout this tour program and offering a monthly digital subscription to FlyTyer as well as a Digital plus print subscription for the grand prize winner. Dr. Slick Fly Tying Tools will be providing additional monthly drawing prizes.